Well can you tell me where I CAN get a trailer sized hot dog? Ummmmm...yes...I would like the 50 foot hot dog for .50 cents please! What has happened to "Save Money, Live Better" huh?.....thats what I thought Wal-mart! God dammit stupid Ikea food. Darn! Where is Paul Bunnon supposed to buy his hot dogs now? 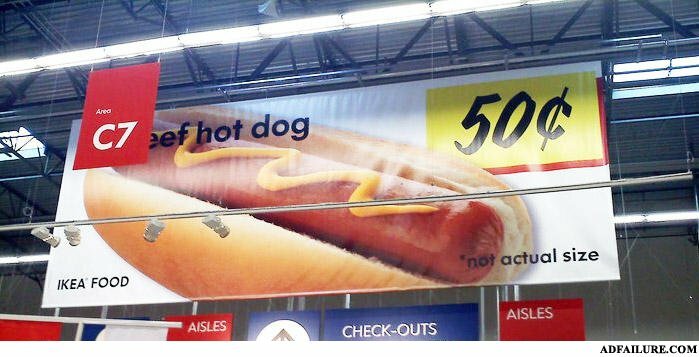 Not actual size?? Are kiding me right? Whats the difference between a truck full of dead babies and a truck full of bowling balls?